Racewalking is a terrible game/sport. 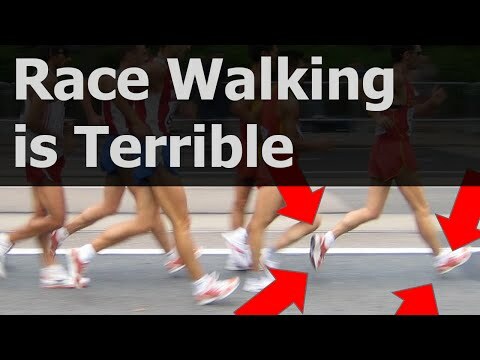 An excerpt from our Bad Games lecture at PAX South 2015, we discuss herein why racewalking is a poorly designed competition that is more about cheating and randomness than athleticism. I have not heard about race walking in a while. I'm surprised it's not brought up more in comedic situations. The explanation of what it is combined with the rules about cheating make it seem like a joke and makes the Olympics just sad that it recognizes it as a sport.